Welcome to the Battle of Midway RoundTable March issue. This month we have a number of updates and news on various personel, Bill Vickrey adds his wisdom and knowledge to a few questions from the past newsletter, and a few other articles. One of the items that came across my email was a large number of WWII photos from an estate that apparently has been in a private collection from a WWII photographer that kept all the photos protected along with the negatives. He served in a Photo Reconnaissance Squadron so hard telling if the photos are all that rare. Likely many were and have been in official channels during the war and afterwards. However as with any photographer likely he took far more photos than were ever obtained for publishing during or after the war. If you are interested the link at the bottom of the article takes you to the page. You have to be present at the Estate Sale to bid or buy the photos so anyone in the Milwaukee area it might be worth a trip. 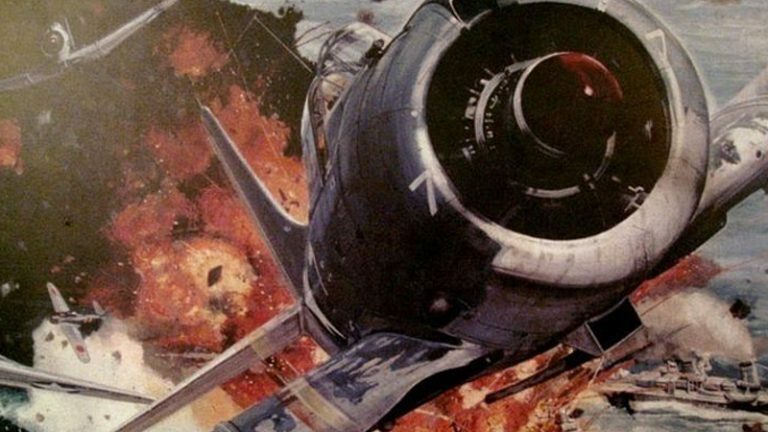 And there is release date news about the New Midway movie at the bottom of the newsletter. Regarding the timeline, Sōryū sinks at 1915, not 1615. And, frankly, both Sōryū and Kaga should say “scuttled” as well, because I think Tony and I demonstrate pretty conclusively that they were. Congratulations on another fine issue!! I did not know the HORNET had been found. Do you have more information...news reports, etc? There were several questions on which I will comment. Without a lot of time I cannot provide much information on time lines of launches at Midway. I have the Deck Logs of all the ships which were there but from a quick perspective I cannot help much. Roy Gee was a very good friend over the years. He and I played golf with Clayton Fisher several times. My files indicate that he was Operators Officer then Executive Officer of ESSEX but not Commanding Officer. He told me that he retired as a Captain not long after the Tombstone rank system closed out. Barrett when did this take place? I am now only in contact with two Battle of Midway veterans and I do not know whether or not either would consent to a sit down interview. One was a Marine Pfc (Retired as a Colonel) who was in the tower on Eastern Island – with Commander John Ford - during the Battle and the other was a newly minted Ensign who jumped aboard YORKTOWN as she was leaving Pearl for Midway and swam away from her at Midway and retired as a Captain working for Admiral Rickover. I had some limited contact with Rear Admiral Robert Laub, USN (Ret). Laub was a “tombstone” Rear Admiral having last served on active duty as a Captain. He got a Navy Cross at Midway and thus the Rear Admiral (Ret) grade. He was one of four VT-6 pilots to get back to ENTERPRISE from the morning flight and led the three plane strike in the afternoon with orders directly from Spruance to “not to engage if any opposition appeared” and he told me no contact was made. He made the only report I know of from VT-6 on the Battle of Midway (copy attached). Except for this copy from my file I do not recall ever having seen this report....have you seen it? I had forgotten I had it and do not remember sharing it with anyone. I do not think I got it from Laub but that it came in some reels I got from the Washington Navy Yard many years ago when it was very to get about anything one asked for. I have a note that Laub died on 10 July 1988 but I do not have an obituary. I think I have answered the questions I noted. Editors Note: Indeed you have as always provided us with some knowledge on the personal. We very much appreciate your continual support and help. Here is the report. Bill, check Youtube. I think there's several CV8 videos since the discovery. Editors Note: Here is a link to an ABC report with video. There are some more links in the newsletter. I'll try and get some more pictures and such from the search vehicle that found her. Re. the question by Mr. Rychlik, the answer is quite simple. While the aerial torpedoes from Hiryu's attack group struck the port side, the torpedoes fired by I-168 detonated under USS Hammann and against Yorktown's starboard side. This is the damage seen in the pictures of her sinking after she rolled over to port. Editors Note: I believe Mr. Rychlik has the right sides of the Yorktown where the torpedoes hit I believe he is saying that the Yorktown's perspective on the page is always being shown from the Starboard side. So the Starboard view of the Yorktown indicating where the two Hiryu torpedoes hit is somewhat misleading. I need to redo the image from the Port side showing the damage and where the torpedoes struck the ship. I may do this when time permits. I actually have a very talented artist that can do a 3D rendering of the ship and damage where the ship can be rotated and displayed from any angle. I will at some point get him working on the project. Somewhat expensive so have to get a time where he is not busy so the rate is a little cheaper. Plus I need to see if my web host can support 3D renderings. Eureka! 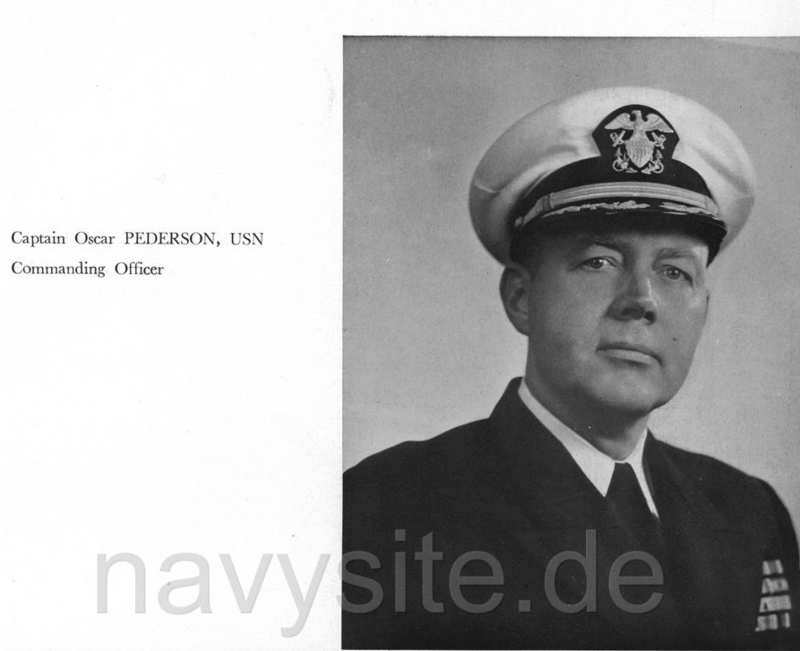 Following the advice of a friend, while browsing this website (https://www.navysite.de/ ) that contains a lot of nice digital versions of quite a few USN ships, I came across this one from Valley Forge's first cruise during the Korean War - that happened to feature an actually pretty good picture of RADM Pederson, back then Captain of the aforementioned flattop. Internet is such a wonderful place, people just need to look hard sometimes... At any rate, thanks for relaying my request! I suppose this can be reproduced in the newsletter considering the place of origin is written in large letters anyway. Just saw that he departed the pattern--note on Facebook. Gotta admit that I was unaware of him until he requested a Friend link, but obviously he was knowledgable. Evidently he was a stabilizing influence on the upcoming BOM movie. I knew and really like Burl, and was very saddened by this. He died of the flu, apparently. Way too young. When I was last at the Pacific Aviation Museum, with Craig Symonds, he showed me and Craig all over Ford Island, and took us to some really interesting buildings. He was very generous of his time and knowledge. I will miss him. Editors Note: I had heard his name come up a couple times when I was working on the movie script. Do not know what he did for the movie or how he was involved as they were pretty tight lipped on sharing who they were talking to. I know he worked on other military or history movies, Under the Blood Red Sun comes to mind, so any help he gave them on the Midway movie I'm sure only makes it better. Ref. the Dauntless movie: there's a pattern. the team's previous movie was Fortress! Editors Note: Yes I had forgotten about that one. The original name was Flying Fortress. Here is a link to the page. 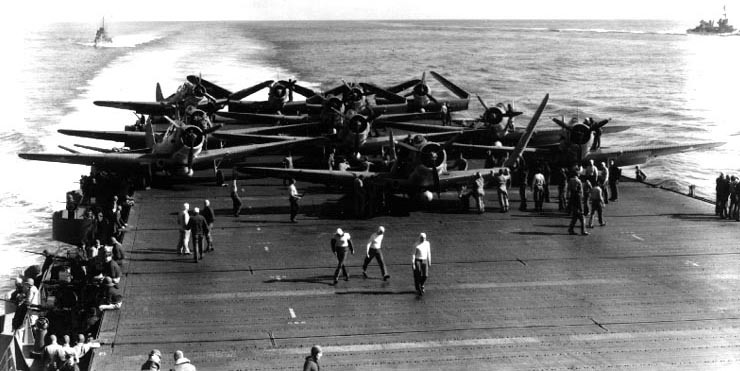 Been looking at CAG-11 for Naval History and noted Kroeger had VB-11 aboard CV-12. I've been an honorary Sundowner for 20 years but didn't realize our BOM Kroeger went the SB2C route! It's not mentioned in this obit. Thank you for maintaining such a good site. I need help finding a navigation chart of Midway Island as the island was in 1942. A re-print chart was offered by NOAA, but the link is now dead. I have copies of more recent chart from the 1990's, but comparing it with 1941 pictures, I can see that the land area of Sand Island was increased so they could build new runways. I do not need a paper chart, a JPG or PDF file would work fine. Thank you for your help. Editors Note: I looked for a chart but could not find one in my files or my paper copies. I know I've seen one before and probably copied it. Maybe someone else has a digital copy we could forward to him. Let me know if you have one and I'll make sure he gets it. I am writing a book about a retirement community in San Antonio. It will include a chapter on the people who lived here. One of them was RADM Lewis A Hopkins, an Enterprise pilot. There is a photo of him on the BOM website wearing his flight gear. With you permission I would like to use it in the book which, with luck, will be published by Arcadia Publishing in its Images of America series. I would appreciate if if you could send me a copy at a higher resolution (publisher prefers 300 dpi) or a larger file size (1 MB). Editors Note: I will have to look for a better resolution file. I took over the duties as the host in 2013 and the previous host gave me access to his site so I could downloaded the pages and images from the old website. However this photo is the only version for the person. Looks like it might have been cropped from a larger photo although that's just a guess. Let me do some research and see if I can get a better copy and if it's even mine to give away. Here is a link in a Milwaukee paper talking about a treasure trove of military photos recently uncovered and for sale, including some from the Pacific. The will be going up for auction this week. Knowing the avid interest of various members who are authors I thought this may be worth an emergency email for you to send out in case anyone would be interested in attending or otherwise buying these photos. I have no relation to this family and will be unable to be there for the auction. "Several shoe boxes are filled with 2,000 pictures Skocir snapped while serving in the 17th Photo Reconnaissance Squadron — each inside a plastic sleeve along with all of the negatives still in their World War II-era negative envelopes. On the front of each envelope, Skocir wrote the location and year ranging from the Pacific islands of Palawan in the Philippines and Guadalcanal to Morotai and Sterling in the Solomons. The World War II photos feature snapshots of islanders, scenery, airstrips with planes taking off and landing and American soldiers pushing Jeeps through knee-deep mud, playing volleyball and sitting on their bunks writing letters. Every photo will be for sale ranging from $2 to $150 for large photos of military aircraft in flight. Lovejoy said the World War II photos will be sold together in one lot for bidders, as will the Wisconsin National Guard 105th Cavalry pictures and the album of 1920s and ’30s airplane photos. The estate sale also includes other items — dishes, clothing, World War II memorabilia and darkroom equipment. Bids will be taken for the World War II and Wisconsin National Guard photos from April 11 until 4 p.m. April 13." The latest on the New Midway Movie. Looks like the release date is November 8th. Here is a link to the page on the announcement. It has a rather clunky video link that has nothing to do with the movie as far as I can tell so probably advertising. Page would not load without me having to disable my ad blocker so yeah, advertisements. At any rate from the page.